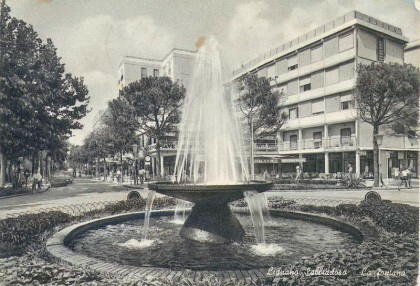 Records of Lignano previous to 15th April 1903 are only hardly enshrined in written documents, they are rather embodied in the shapes of this tough territory and its landscapes, which remained unchanged outside the main streams of history over the centuries. The only few signs referring to Lignano are to be found on ancient maps, where it is described merely as a physical existing piece of land, an "empty" area between the "political" area belonging to the Republic of Venice and the ancient fortress town of Marano, which represented the very last strategic defense line, the outer border of the areas under the hegemony of the "Serenissima" (i.e. the Republic of Venice). Between the Sixteenth and Seventeenth centuries the peninsula of Lignano appeared for the first time on the accurate plans carefully drawn by the so-called Water wise experts (Venetian magistracy appointed to guard the delicate breath of the lagoon environment, of vital interest for the "Serenissima"): 8 or 9 sets of dunes shaped by the winds, the tangled and moved net of canals, the sandy stripe of beach resulting from the ancient weaving of the sea, the winds and of the river Tagliamento. A thick wood of black-pines, holm-oaks, holly...a handful of houses on the edge of a slight lagoon slope, some single "Casone", a fishers shelter, and after 1500 a little church... A kind of "no man's land" that should somehow give shelter to a handful of fishermen, raft-building craftsman, farmers "whose faces bore clear signs of malaria", swamp and lagoon free hunters, horse breeders; Those horses belonged to a wonderful horse breed and, according to the tradition, they used to live free and wild in the pinewood as very well described by the writer Elio Bartolini in a passage of a poetic writing of his: "Nearby the beach surrounding the main mouth of the Tagliamento River, the horses are watered until cooling before they run back to hide in the woods, the pleasure they get makes them shake their manes and scourge their own flanks with their tails". However, the history of Lignano is embodied also, and perhaps much more meaningfully, in its name - which bears the suffix "anum", thereby clearly proving the existence of a human settlement on the peninsula since the roman age. 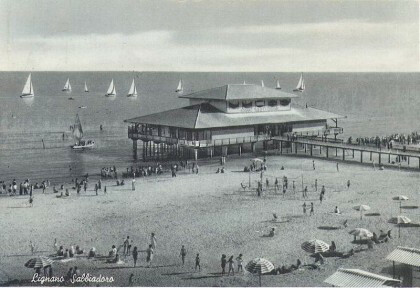 A written document dating back to the V century reports of a "shore called Lignano", i.e. belonging to a man whose name was Lunius. An estate not directly linked to the land nor to farming activities, but rather -as argued by Luciano Bosio- aimed to providing the hinterland with everything that sea and lagoon could offer, i.e. fish preservation, production of garum (a peculiar fish sauce) and especially salt, which has always been an economic resource of the utmost importance. 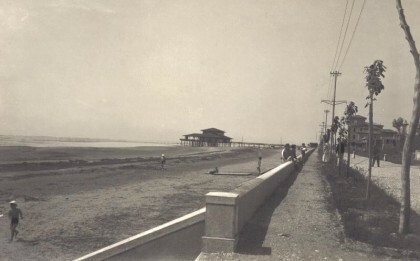 A little wharf, which was connected with the lagoon lying behind and with the hinterland plain through the many rivers flowing into the lagoon. This territory was so rough that even the local tradition still maintains "Lignano" to come from "Lupignanum": place infested with wolves, while the place name "Pineda" is thought to mean "wood forest". Those woods usually arrived from "Carnia" (the mountain area of the region), they were leaded along the Tagliamento river by the "zatars", the old raft-drivers that steered trunks along the Tagliamento river down to its mouth, where they were collected on venetian "trabaccoli" (a kind of ship) and hence brought to the Venice arsenal, where wood was always badly needed and it was brought there from all Venice possessions. In 1420 Lignano too became part of the possessions of the Republic of Venice, which gave it over to different noble families, as it was usual in the feudal system. Among these noble families, the Vendramin Family, which was at that time dominating over Latisana and descended from the "dogi" (the highest political authority within the Republic of Venice), was the only one to bind tightly its name to Lignano by having the little nice "Church of Saint Zachary" built right in the core of the tiny farmers'village of Lignano Pineta, probably around the second half of the 16th century. This little church, which actually marked the Vendramin's possession on Lignano, had not been built for the almost meaningless settled community (3"foci" - fireplaces, i.e. houses in 1466; 2 houses, 8 people "aged enough to receive the Holy Communion" and some children in 1648), but rather for the far more important group of fishermen and boatmen who often stopped in this area. Actually, the harbour of Lignano was strategically important as a key access in order to reach by ship the sea area facing Marano which meanwhile had been transformed into a fortress that was to become the keystone of Venetian supremacy on the Adriatic sea. 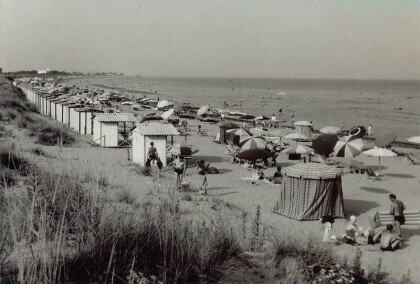 Therefore, only in connection with the far more important town of Marano, Lignano happened to be mentioned in documents concerning medieval and modern history. After a long series of skirmishes between Venice and the Habsburg Empire (in consequence of which a little fortress had been built ad the edge of the peninsula in order to protect the "harbour"), Lignano was not acknowledged within the Vendramin Family'possessions any more, in fact it became "Terra del Dogado", i.e. part of the military possessions of the Republic of Venice, directly managed by the so called "Council of Ten". Meanwhile, time passed in Lignano without leaving any significant sign, everything but the seasons, that changed one after the other, remained the same. During the Age of Napoleon a further little bunker was built to support the implementation of the Continental Blockade against England in 1812. 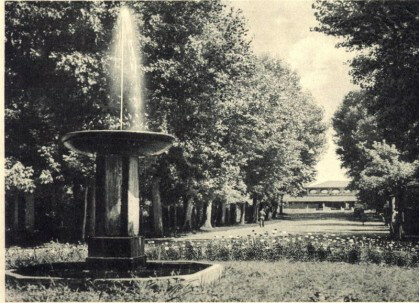 At the same time, all around the little fortress of the "harbour Lignano" some people were settling down: in 1813 there were 70 inhabitants, among which police officers stationing in Lignano and a sanitary supervisor. 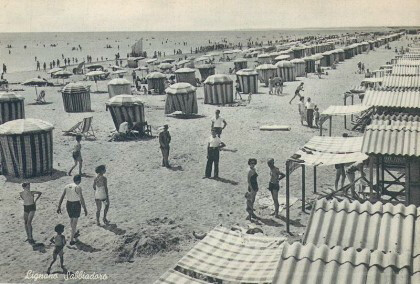 All this remained unchanged, like floating in time, until the beginning of 20th century, when Lignano definitely committed itself to tourist industry.